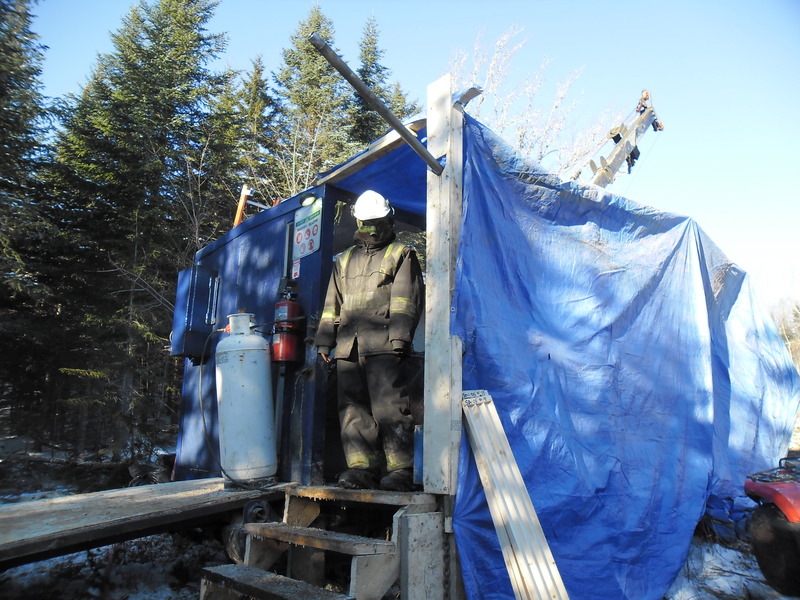 Diamond drilling is underway at our South Dungarvon Tin Project (News Release of December 9, 2013). This is the second phase of drilling by Geodex on this property. 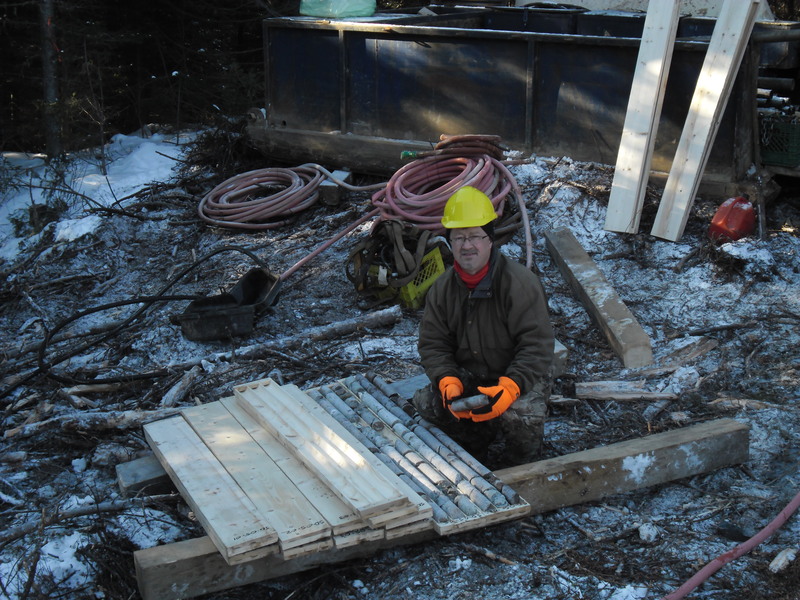 Earlier this year we drilled the eastern region of the property, discovering a new area of tin mineralization (News Release of August 1, 2013). 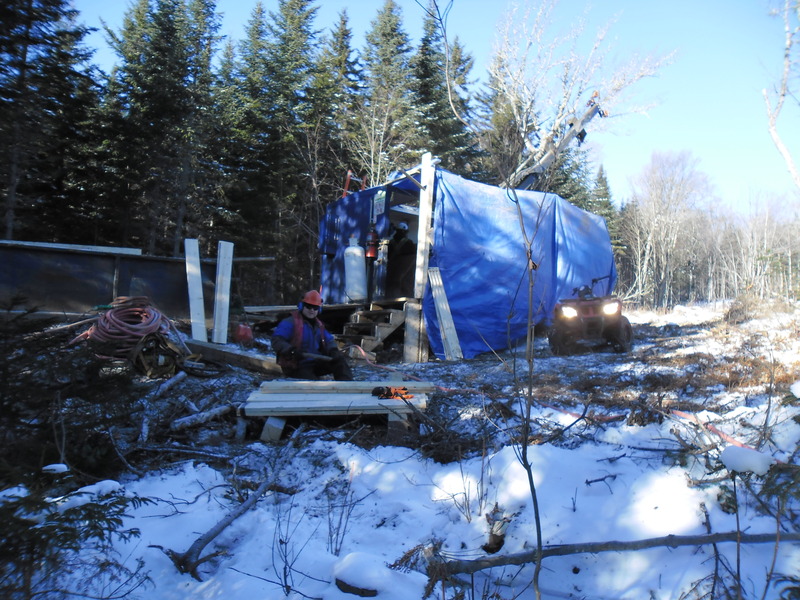 The current drill program will test additional geochemical and geophysical targets in the western half of the property, including one area in which Geodex staff discovered high grade tin bearing rubble near an old trench. Although I have been involved in many such drill programs, they are all exciting and individually unique. This is a late fall program. However winter conditions have set in as can be seen in the photos. The winter programs are more of a challenge as was the case during the snow storm yesterday. It is already cold enough for the full winter clothing as evident in the photos. One photo is of Jacques, the day-shift driller. He is not shy and trying to avoid having his face revealed in this photo, just protecting himself from the cold conditions. I have now caught up on a few office items this morning. It is time to pick up Bruce (Bruce Stewart) for the next site visit. More drill core awaits.